Valentine's Day is ONE WEEK away! Have you pre-ordered your flowers yet? There is still time to order a bundle of blooms for the one you love (Or yourself?!). Flowers not your jam? We carry a wonderful selection of fine jewelry, fragrance and so much more. Stop by the boutique, or call us at 773-395-2770 so we can make your February 14th something extra special this year! Winter is the time when you begin to plan your summer celebration. And with the chilly temperatures ahead, we thought we'd look back on this beautiful, lakeside wedding at a private residence in Lake Geneva. Beautifully photographed by Anna Guziak Photography, and perfectly planned by Five Grain Events, it was the ideal summer celebration! December weddings are simply beautiful. Wintry and fresh with a nod to the holidays, this affair at The Drake Hotel was no exception. Flawlessly coordinated by SQN Events & photographed by Avery House, we love every single detail. Check out the printed winter 2018 edition Inside Weddings for a beautiful write up! Elegant and Lush, the Backyard Wedding We All Dream About. This is certainly one of our favorite backyard weddings we ever done. A floating green chandelier, a clear tent and the most gorgeous roses ever. It was truly a dream working with Five Grain Events and the photos from Marissa Roberts Photography are perfect! We are absolutely in love with this wedding at the Bridgeport Art Center. Lush, green and ivory and filled with some of our favorite create partners, it really could not have been more perfect. The photos from Natalie Probst Photography are breathtaking. Working with Estera Events, Sarah Drake design, Art of Imagination, Bowery & Bash & Entertaining Company was basically a dream! We were pretty excited when BHLDN reached out to us asking for a beautiful floral wall to act as a backdrop for their 2018 gown launch! Personally, we think floral walls are the only kind that should be built! We simply cannot stop looking at these beautiful photos from Natalie Probst Photography. This colorful and romantic wedding at Gallery 1028 was filled with the most beautiful garden roses, so much glow and all of the texture. It was filled with perfect details, all organized by Estera Events. We're so ready to do this again! This has been a busy year for Fleur, filled with expansion both in our retail boutique and our studio location, lots of personal growth and always learning new way to make our designs and offerings better for all our beloved guests. There was a lot to be thankful for this past weekend. I'm a little reflective today after the holiday (Thanksgiving happens to be my favorite). On Wednesday night we unexpectedly found out that my brother needed a pacemaker and bright and early Thanksgiving morning he was given one. As an avid runner (He runs marathons) it was quite the surprise, and we were all thrilled when we heard that it went well and he's already feeling better. Saturday night my Dad and Sister in Law were in a car accident after a chain of crashes ended up hitting them. My sister in law broke her wrist and my Dad's car is totaled, but thankfully that is all that happened. Thanksgiving was sandwiched between these two stressful events, and sitting here on my morning off work with a cup of coffee in my hand and my husband by my side I'm so incredibly grateful for my family. 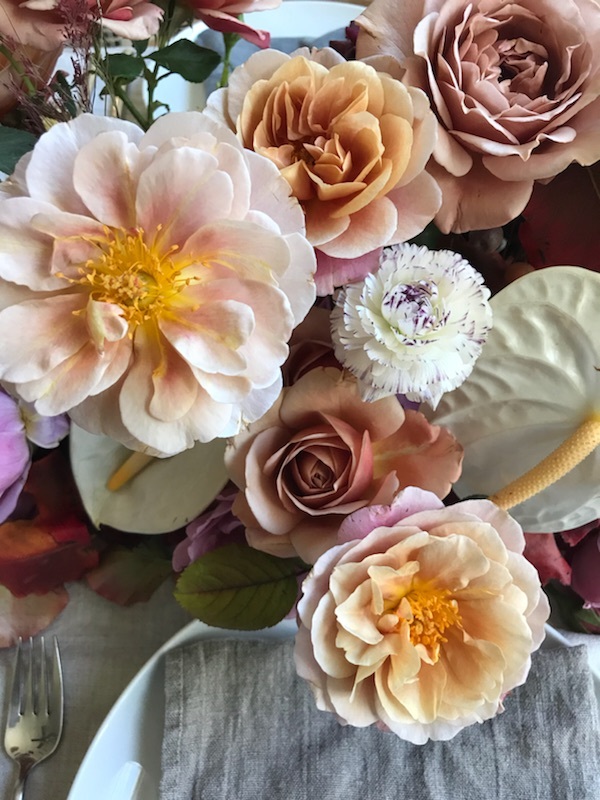 I wanted to share a few photos of our Thanksgiving dinner table, and in case you didn't see my Instagram post, I wanted to retire a very important message to all of you. I'm so thankful for all the love and support from our Logan Square neighbors and beyond. For all the couples who trust myself and my team to be a part of their celebrations. And so thankful and grateful to my team who inspire me every day with all their love, dedication & creativity (& tolerate my totally type A craziness). As the holiday season approaches, I hope we're all reminded to slow down a little, take deep breaths and be kind to those around us. We love an outdoor wedding reception in Chicago & we absolutely adore this colorful and fun wedding at Morgan's on Fulton. These photos from Dana Ann Photography capture all the happiness put into this wedding. This is seriously one stylish family and we were beyond excited to work with them on another wedding. And as always, we loved working with Estera Events! We were so excited to receive these amazing photos from Louie Abellera Photography of one of our favorite weddings at Room 1520. Daydream Events was there making every detail perfect, and this afternoon could not have been more fresh, beautiful and fun! We're not sure why it took so long to post these beautiful images, especially since they're from Clary Pfeiffer Photography, but better late than never! This is a truly classic wedding held at Germania Place, and Estera Events was there making sure every detail was properly taken care of. The tall gold stands on the guest tables are one of our most popular requests, and we certainly can see why. They're thin, elegant and do not obstruct any views. Paired with a candle treatment centerpieces and a lush compote, this wedding is pretty much perfect! We listen to a lot of Yacht Rock in our design studio, so you can probably imagine what the scene was like when we were producing all the flowers for this beautiful wedding a the Yacht Club. The bright yellows are so perfect, we were thrilled to be a part of this wedding with City Girl Events. Enjoy these photos from Christina Kiffney Photography! Summer weddings at the Chicago Botanical Gardens are a true delight, and we love them so much! These photos from Santiago Murillo are the sweetest, and we can't wait to work with him again! New Year's Eve we were delighted to work at The Chicago Athletic Association with one of our favorite planning teams, Jayne Weddings. We can't imagine anything more beautiful than a celebration overlooking Michigan Avenue in such an iconic hotel! Gold, ivory and greens made this celebration elegant and romantic. The photos from Sean Cook Photography couldn't be more perfect! It was a thrill to once again be a part of Near North Montessori's fundraiser for financial aid. We love giving back, and especially to a wonderful school, helping kids who otherwise could not afford to attend. Held at Salvage One (One of our favorite locations), it was truly a beautiful evening! Here are just a few snaps we took of the evening. The palette of gold, champagne and silver is definitely one of our favorites. Enjoy! Bright colors at the Planetarium! 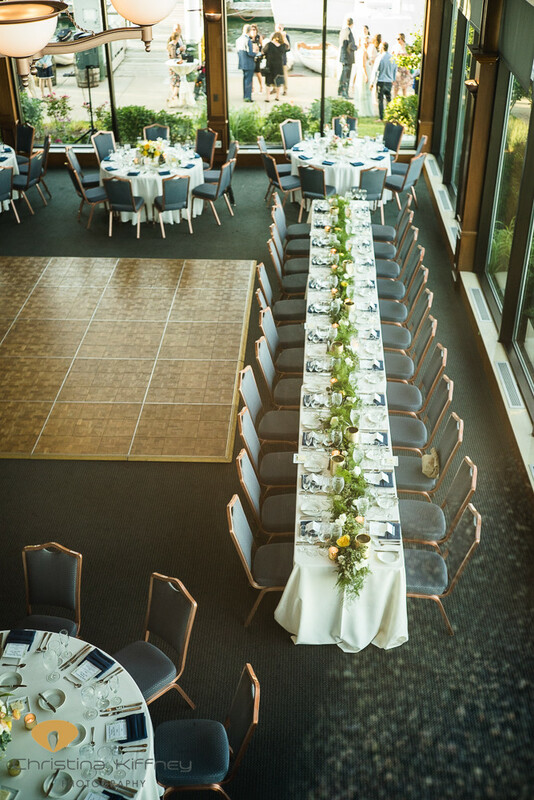 We finally are blogging this beautiful & bright wedding at The Adler Planetarium! Although we love neutral wedding palettes, it's so fun when you add a little bit of brightness into the day. We were thrilled with these photos from Tim Tab Studios and the day was perfect with Wrap it Up Parties. Love and good vibes all around! 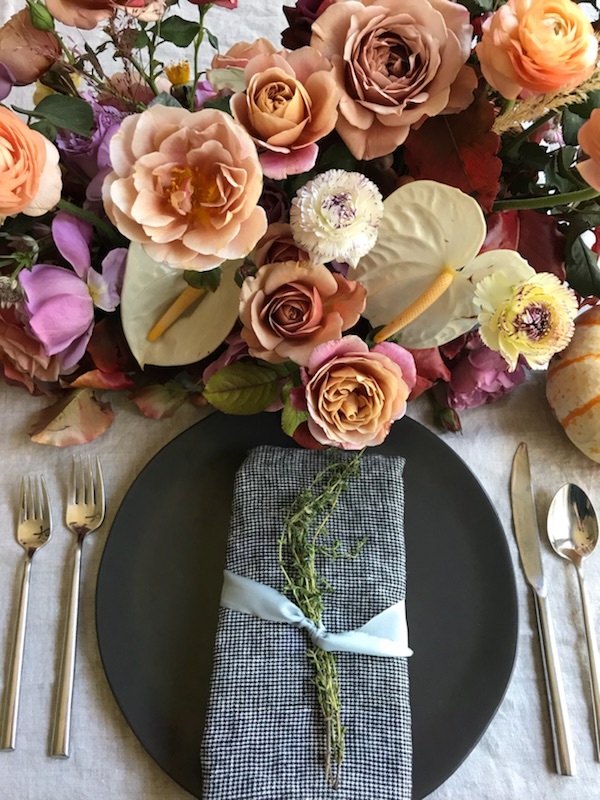 Martha Stewart Wedding Party 2017 Tickets Available! The Martha Stewart Wedding Party is coming back to Chicago, and we are so thrilled to once again participate! Brought to you by Martha Stewart Weddings, The Wedding Library & Lovebird Events, it will be taking place at the Radisson Blue. Purchase your tickets HERE and we will see you on March 5th! This morning we were thrilled to see that one of our favorite classic weddings was featured on one of our favorite blogs. A ceremony overlooking Lake Michigan was the perfect backdrop for a tailored but romantic collection of blooms. It was the perfect afternoon coordinated by SQN Events at the Shoreacres Country Club. Kina Wicks Photography beautifully captured these photos, and you can see a full post on Carats and Cake! This wedding truly made us happy. Add giant magnolia centerpieces to black taper candlesticks. Include lush, foliage heavy centerpieces and terra cotta lanterns. Charcuterie plates from Boutique Bites and Estera Events there to coordinate it all, and you're left with the most beautiful wedding at the Arranmore Polo Club under a clear tent with 1000's of sparkling lights. Truly a Fleur favorite! Natalie Probst Photography captured everything so perfectly! !